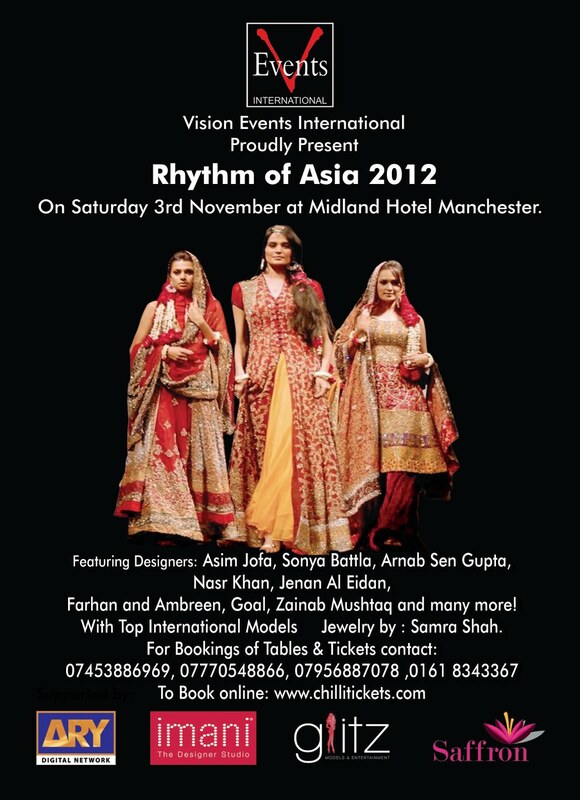 The annual "Rhythm of Asia" fashion show returns to Manchester next week on the Saturday 3rd November at the Midland Hotel. 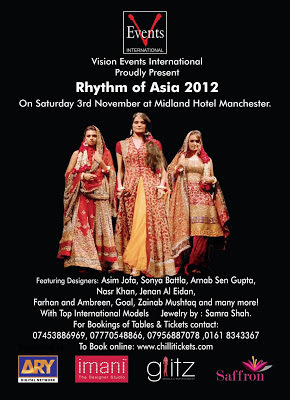 Tickets are available to buy from Imani Studio, priced at £50 for standard tickets and £70 for VIP. You can also buy them online from Chillitickets.com, but they're slightly more expensive that way as it includes an additional booking fee. I've not attended any of the previous Rhythm of Asia shows personally, but I have always enjoyed the fashion show photos afterwards, here are some pics from previous Rhythm of Asia shows. 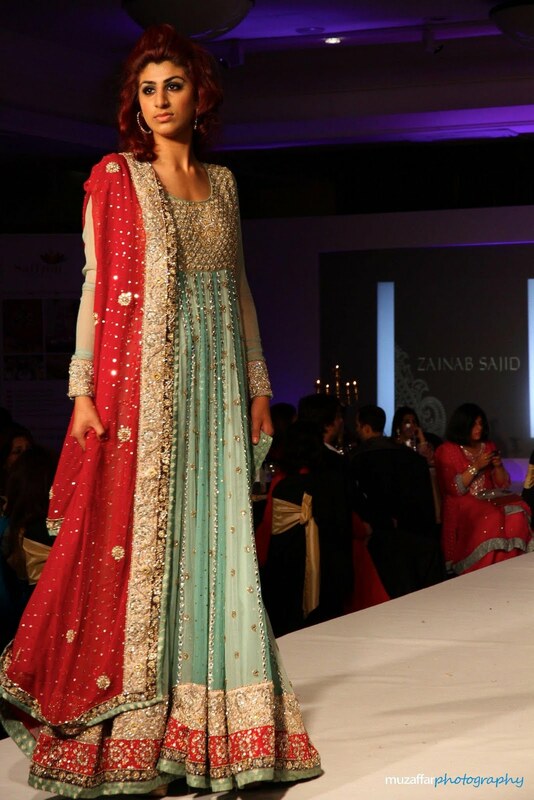 Zainab Sajid from the 2011 Rhythm of Asia show, view the rest of her collection from this show here: Zainab Sajid at 2011 Rhythm of Asia. Elan by Khadija Shah at the 2010 Rhythm of Asia show, view the full collection here: Elan by Khadija Shah at 2010 Rhythm of Asia. Waseem Noor at the 2011 show, view more here: Waseem Noor at 2011 Rhythm of Asia.